The weekend of September 22 & 23, SJMQT is free to the public. Viva CalleSJ is a free program to bring communities together to walk, bike, skate, play, and explore the city like never before. On September 23, 2018 the museum will be open one hour earlier, from 10am – 3pm to celebrate Viva Calle, a local initiative that transforms six miles of city streets into an urban park for the day! SJMQT is located along the Viva Calle Route, in the SoFA Street Activity Hub! Stop by the museum to decorate your bike, take part in fun activities, and see our exhibitions! The weekend of September 22 & 23, San Jose Museum of Quilts & Textiles is free to the public. On September 22, 2018 the museum celebrates Smithsonian Magazine Museum Day, a national effort of museums to waive admission fees making them accessible for all. Paper art activities, keychain making, button making, Behind the Scenes tours, a scavenger hunt, and more! Gain the skills to mend your favorite pair of jeans. 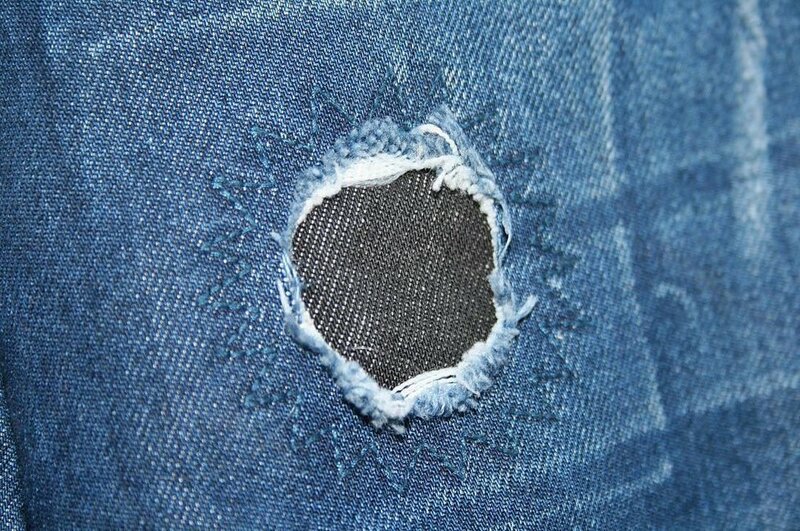 Come and learn a few basic patch techniques to rehab your beloved rough and tumble wear! Free with RSVP at themendingcollective@gmail.com - reserve your spot today. Movie Night at SJMQT: "Who Does She Think She Is?" "Who Does She Think She Is?," a documentary by Academy Award winning filmmaker Pamela Tanner Boll, features five fierce women who refuse to choose. Through their lives, we explore some of the most problematic intersections of our time: mothering and creativity, partnering and independence, economics and art. Register ASAP as seating is limited! Bring your friends and enjoy a night at the Museum. We’ll provide the popcorn and the entertainment. Beer and wine will be available to purchase. Whether you are an artist, a parent, a creative thinker or a supporter of the arts – this film will stir discussion and reflection. San Jose Museum of Quilts & Textiles will present a 2-for-1 back-to-back lecture from Carole Frances Lung, aka Frau Fiber, followed by Maggy Rozycki Hiltner. These lectures are followed by an opening reception from 3-5 p.m.